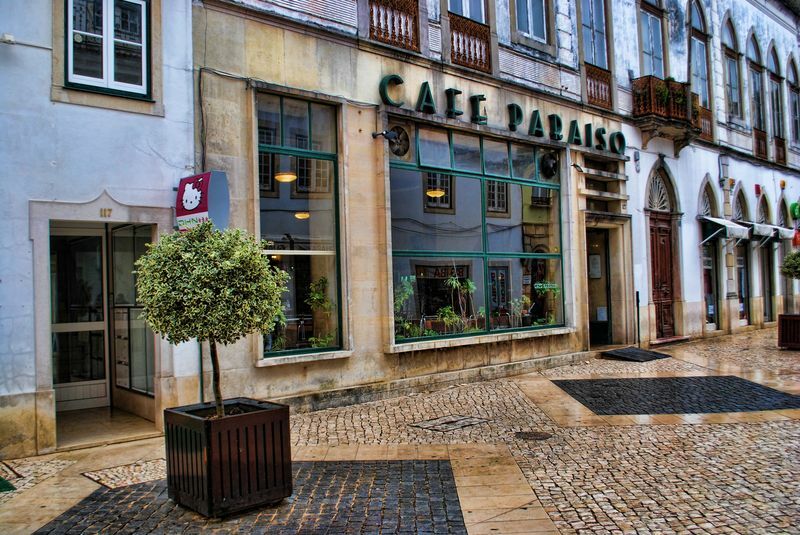 Just seven months and 15 days, after the revolution of 1910 in Portugal, which transformed the country from a Monarchy into a Republic, Café Paraíso (Paradise Coffee Shop), opened its doors in the City of Tomar, on the 20th of May, 1911. 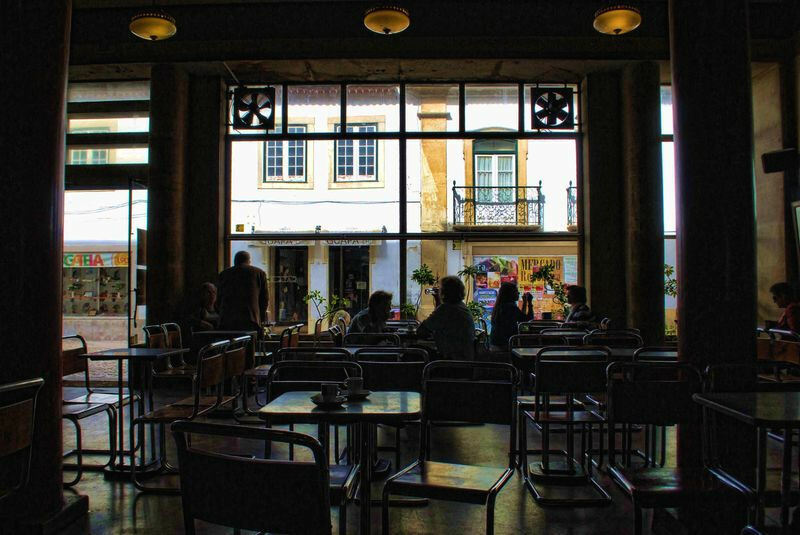 In the beginning Café Paraíso was owned by five partners but in time only Mr. Manuel Cândido Mota remained, and since then, this 100 years old coffee shop, located at Rua Serpa Pinto (Corredoura), has belonged to the same family. 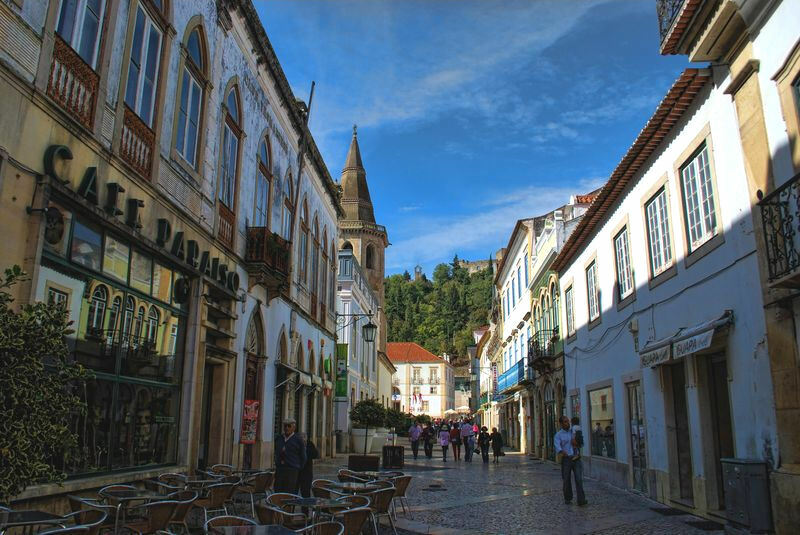 Café Paraíso on the left, at Rua Serpa Pinto (Corredoura) in Tomar. This is a 100 years coffee shop, which opened its doors in 1911. In summer they also have an esplanade outside. The entrance to Café Paraíso at Corredoura in the City of Tomar. It was a rainy when I shot this photo. At night Paradise Coffee Shop also operates as a bar, until 2.00AM.